This complex project took place in two adjacent buildings, both occupied. It modernized Buildings 104 and 104E for use by the Veterans Administration Records Management group in St. Louis. The agency wanted to expand their space by moving into the first floor of Building 104E, and then, fully rearranging and adding workers to their space in Building 104. The Building 104 renovation project was constructed in four phases to maintain full operation of the facility. Surge space was provided by a smaller adjacent building (104E) that ultimately became the offices for the management group. The project design required close coordination with secure tenants in the floor above the VA, solutions to existing plumbing and mechanical problems and fire protection and structural support. The client had their own programming consultant who provided information requiring significant coordination before use. We worked with the VA management and GSA to come up with a detailed phasing plan that allowed for single moves by all but one work group. The first floor of Building 104 was already occupied by the VA. Selective demolition and construction was done to renovate and expand the office areas and mailroom. Security, work flow and new finishes were addressed in and around the Mailroom. Careful attention was given to fire rated enclosures, door hardware, security and life safety, both as temporary measures during the phasing, and as permanent construction. 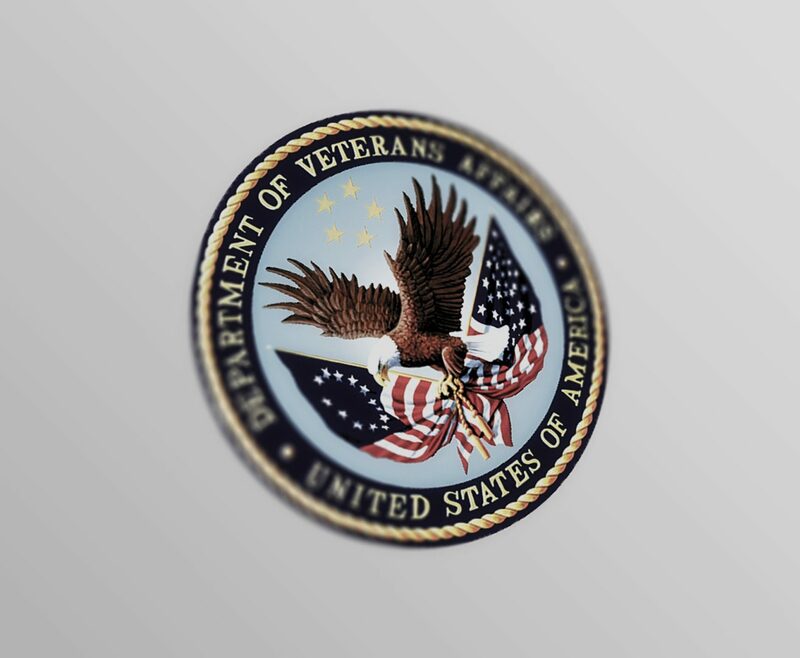 The VA’s objectives of reorganized work flow, higher security and a higher quality office facility were achieved under budget.